“He was despised and rejected by men.” Jeff explains that the theme of rejecting God’s anointed is not new to Isaiah. On location at an ancient Jewish synagogue, we learn that the Messiah who was rejected shall one day be vindicated and that every knee shall bow to Him. 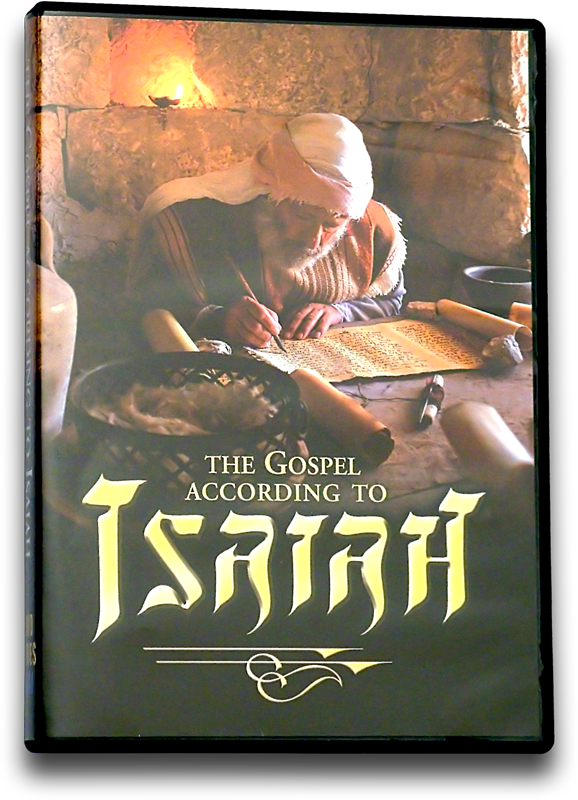 Also, from our Prophesied Messiah television series, Zola teaches Jesus’ prophetic fulfillment of Isaiah 53. 00:18 WOUNDED FOR OUR TRANSGRESSIONS AND BRUISED FOR OUR INIQUITIES. 00:25 HE IS BROUGHT AS A LAMB TO THE SLAUGHTER. 00:34 WOULD ONE DAY BE FULFILLED IN THE LAMB OF GOD, JESUS. 00:47 SHALOM, HELLO AGAIN. I'M SANDRA LEVITT. 00:49 I'M HERE WITH JEFF SEIF AND WE'RE TALKING ABOUT ISAIAH. 00:52 WHAT A MIGHTY, MIGHTY MAN, WHAT A MIGHTY PROPHET ISAIAH WAS. 00:56 INCREDIBLE INSIGHTS, TOO, SANDRA. 01:00 WAS GOING TO BE DESPISED AND REJECTED BY MEN. 01:10 DRIVEN BY FORCES THEY COULDN'T CONTROL. 01:14 I BELIEVE THAT A PICTURE IS WORTH A THOUSANDS WORDS. 01:19 BUT NOW LET'S LOOK AT A PICTURE OF JESUS AND HIS REJECTION. 01:29 THEY SAID, HOW IS IT THAT THERE IS EATING WITH PUBLICANS AND SINNERS. 01:32 WHY ARE THERE BLASPHEMIES? 01:34 WHO CAN FORGIVE SINS, BUT GOD ALONE? 01:46 HOW THEY MIGHT DESTROY HIM. 01:55 THE GREATEST STORY EVER TOLD IN THE HISTORY OF THE HUMAN RACE. 02:01 WE'RE LOOKING AT THE GOSPEL. 02:03 WE'RE LOOKING AT THE GOSPEL FROM A JEWISH PERSPECTIVE. 02:07 WE'RE LOOKING AT THE GOOD NEWS THROUGH THE EYES OF JEWS. 02:16 HIMSELF ARGUABLY THE GREATEST OF THE OLD TESTAMENT PROPHETS. 02:27 HAD A LOT TO SAY ABOUT THE COMING MESSIAH. 02:35 BROADCASTING HERE FROM THIS HASMONIAN VILLAGE THAT DATES BACK TO THE 2ND CENTURY B.C. 02:54 AND YOU MIGHT RECALL THERE WAS A FELLOW NAMED PAUL, A MEMBER OF THE PHARISEES. 03:05 AND THEN HE WENT ALL ABOUT THE GRECO-ROMAN WORLD ENTERING BUILDING LIKE THIS. 03:19 TO HELP THE WORLD TO SEE THAT THE MESSIAH HAD COME AND THAT HIS NAME WAS YESHUA, JESUS. 03:33 HAVE TO SAY ABOUT THE COMING MESSIAH. 03:42 ONE OF WHICH IS IN HEBREW FIRST. 03:59 WAS TO BE DESPISED AND REJECTED BY MEN? 04:03 OH, YOU WOULD THINK THE MESSIAH COMES INTO THE WORLD AND HE GETS A TICKER TAPE PARADE. 04:07 WHY, IN THE 8TH CENTURY BC ARE WE TOLD THAT THE MESSIAH COMES AND HE IS MARGINALIZED. 04:13 PEOPLE ARE MINDED TO DISTANCE THEMSELVES FROM HIM. 04:26 THAT'S VERY STRONG LANGUAGE. 04:44 WAS GOING TO BE APPALLING, STARTLING, MARRED AND THEN..
05:00 NO ONE LIKES TO BE REJECTED. 05:04 I DON'T LIKE IT. YOU DON'T LIKE IT. NOBODY LIKES IT. 05:13 I'M SURE HE DIDN'T LIKE IT. 05:27 WHETHER IT'S YOU, WHETHER IT'S ISAIAH. 05:29 THERE ARE HOSTS OF OLD TESTAMENT GREATS THAT HAD THE SAME SITUATION. 05:43 HE HAS THE BURNING BUSH EXPERIENCE. 05:50 AND MOSES HAS PROBLEMS, HE SAYS, GOD, THEY'RE NOT GOING TO LISTEN TO ME. 05:54 THE ELDERS OF ISRAEL WON'T LISTEN TO ME THAT ARE HOLED UP IN EGYPT. 06:03 WHEN I GO TO PHARAOH, FOR SURE HE'S NOT GOING TO WANT TO HEAR ME OUT. 06:12 IN PART NOTING THAT OTHERS WERE GOING TO BALK AT HIM. 06:16 I FIND THAT INTERESTING. 06:23 BUT IF YOU LOOK AT DAVID, NOW TODAY DAVID IS POPULAR. 06:31 THE FLAG FOR THE STATE OF ISRAEL HAS ON IT THE MOGEN DAVID, THE SHIELD OF DAVID. 06:38 DAVID IS THE SYMBOL OF THE NATION STATE. 06:41 I REMEMBER GROWING UP AS A LITTLE BOY, WE USED TO SING A SONG..
06:50 DAVID WAS IMMORTALIZED, HE IS IMMORTALIZED IN JEWISH CULTURE. 07:08 SAYING, I BELIEVE THAT THERE'S A KING IN THE HOUSE. 07:11 JESSE'S FATHER SERVED UP ALL OF HIS SONS FIRST. 07:15 THE PROPHET SAID, NO NOT THIS ONE, LET'S SEE ANOTHER. 07:19 HE BROUGHT ANOTHER, NO, NOT THIS ONE. 07:20 DON'T YOU HAVE ANYBODY ELSE? 07:36 TO BE CONSIDERED AS THE LEADER OF ISRAEL. 07:49 AND LATER ON WHEN HE ENTERS MORE DIRECTLY IN THE SERVICE OF SAUL, HE'S REJECTED BY SAUL. 07:55 WHAT'S WITH THIS REJECTION? 07:59 YOU STAND UP, YOU WALK WITH GOD AND BOOM, YOU TAKE IT IN THE FACE SOMETIMES. 08:04 WHY IS IT LIKE THAT? 08:06 IS THERE GOING TO BE ANY RESOLUTION TO THIS TENSION? 08:13 I WANT TO SHARE WITH YOU FROM ANOTHER PASSAGE IN ISAIAH, THE 45TH CHAPTER. 08:27 AND NOT SUFFER THE REJECTION FOREVER. 08:37 HE SAYS IN VERSE 22 SOMETHING TO ME AND YOU, HE SAYS..
09:18 THAT JESUS CHRIST IS LORD TO THE GLORY OF GOD THE FATHER. 09:22 WE'LL DO THAT IN JUST A MOMENT. 09:30 ASK FOR OUR FREE MONTHLY NEWSLETTER, THE LEVITT LETTER. 09:33 WHEN YOU CALL, BE SURE TO ALSO AS FOR OUR FREE CATALOG WITH THE LATEST VIDEOS, BOOKS AND MUSIC. 09:43 READING PACKETS, TEACHING CASSETTES AND MAIL-IN TESTS. 09:50 OR THE HOLY LAND EXPERIENCE THEME PARK IN ORLANDO, FLORIDA. 09:54 PLEASE CONTACT US FOR MORE INFORMATION. 10:46 DIFFICULTIES WITH A ROUGH START NOTWITHSTANDING, AT THE END OF DAYS HE WOULD TRIUMPH. 10:59 TO LOOK AT THE GOOD NEWS FROM THE EYES OF ANCIENT JEWS, ISAIAH PARTICULARLY. 11:18 REFERRED TO AFFECTIONATELY AMONGST JEWS AS RAB SHAUL. 11:34 IN THE WAKE OF WHICH, HE BECAME A STAUNCH ADVOCATE..
11:37 HE WAS WRITING A LETTER TO A GROUP IN PHILIPPI. 11:53 AND A NUMBER OF JEWISH PEOPLE CAME TO FAITH. 11:58 THE REASON WHY I SAY THAT IS BECAUSE HE QUOTES ISAIAH, TOO. 12:06 THAT AT SOME POINT IN TIME, EVERY KNEE WILL BOW AND EVERY TONGUE WILL CONFESS. 12:14 AND I'D LIKE YOU TO TURN WITH ME PLEASE TO PHILIPPIANS 2:5. 12:27 BECAUSE I WANT TO BE A BIBLE TEACHER. 12:32 FROM A JEWISH PERSPECTIVE, PARTICULARLY. 13:12 TO ME EVERY KNEE SHALL BOW. 13:21 AND THEN HE SAYS EVERY TONGUE WILL CONFESS. 13:28 TO HIM ALL MEN SHALL COME. 13:33 THE PROPHETS SAY (SPEAKING HEBREW) ALL FLESH. 13:37 THE PROPHETS SAYS (SPEAKING HEBREW) ALL PEOPLES. 13:42 THERE'S A POINT IN TIME WHEN ALL PEOPLE COME TO KNOW WHO THIS YESHUA IS. 13:47 AND SO THEN HE STARTS OFF, HUMBLY, DESPISED AND REJECTED. 13:53 AT DAYS END HE GETS HIS DUE DOESN'T HE. 13:57 I THINK THAT'S FASCINATING. 14:09 AND THEN HE WAS HIGHLY EXALTED AT DAYS' END JUST AS ISAIAH THE PROPHET FORETOLD. 14:28 TOLD THE STORY OF JESUS' DEATH, BURIAL AND RESURRECTION. 14:33 HERE'S ZOLA IN HIS OWN WORDS. 14:35 ISAIAH SAW HIM AS DYING, HE WAS CUT OFF FROM THE LAND OF THE LIVING IT SAYS IN ISAIAH 53. 14:42 IT'S PREDICTED MESSIAH WILL DIE. 14:46 AND CHRISTIANS THROUGH THE AGES HAVE NOT UNDERSTOOD THAT MESSIAH CAME TO DIE. 14:51 THEY ACCUSE PEOPLE OF KILLING MESSIAH, BUT MESSIAH SAYS "FOR THIS WAS I BORN." 14:56 DANIEL 2 SAYS HE WOULD BE CUT OFF. 15:03 MESSIAH THE PRINCE IS CUT OFF BUT NOT FOR HIMSELF. 15:07 ISAIAH MAKES CLEAR FOR THE TRANSGRESSIONS OF MY PEOPLE WAS HE STRICKEN. 15:13 IT MAKES A DISTINCTION BETWEEN THE PERSON AND THE PEOPLE. 15:17 "MY PEOPLE" IS ISRAEL ISAIAH IS TALKING. 15:20 HE WAS SOME OTHER PERSON STRICKEN FOR ISRAEL. 15:27 THE PEOPLE OF ISRAEL THAT ARE MEANT, THAT ARE WOUNDED, THAT TAKE THE STRIPES AND SO ON. 15:32 BUT,HE SAYS IT WAS FOR THE TRANSGRESSIONS OF THE PEOPLE THAT HE WAS STRICKEN. 15:37 THEY ARE TWO DIFFERENT THINGS. 15:41 AND THAT'S ONE OF STRAY REMARKS OF SCRIPTURE THAT MAKES IT SO PRECISE. 15:47 A RICH MAN WHO DONATED HIS TOMB FOR THAT BURIAL. 15:54 A SACRIFICIAL OFFERING AS IN LEVITICUS 17:11. 15:58 I'VE GIVEN YOU THE BLOOD FOR REMISSION OF SINS. 16:05 HE WOULD LIVE ON DESPITE THAT HE WAS CUT OFF. 16:12 SO MANY, NOT JUST THE JEWISH PEOPLE, BUT THE GENTILES, TOO. 16:21 RISES FROM THE DEAD AND THEN FORGIVES. 17:19 ♪ON THE MOUNT OF OLIVES ♪HE'LL STAND ON THAT DAY. 17:37 ♪THEY ARE BLESSED BY THE ♪FATHER, EL SHADDAI. 17:46 ♪THEY WILL SPEAK, THEY WILL ♪WEEP THERE IN ISRAEL WITH THE ♪ONE WHO HAD COME THERE BEFORE. 18:15 ♪HALLELUJAH CRY TOGETHER THE ♪OLIM L'YERUSHALAYIM HALLELUJAH ♪TO THE COMING OF THE KING. 18:48 ♪THE ASCENDERS OF THE MOUNTAIN ♪OF THE LORD. 19:08 ♪THEY ARE BLESSED BY THE ♪FATHER, EL SHADDAI. 19:18 ♪THEY WILL SPEAK, THEY WILL ♪WEEP THERE IN ISRAEL WITH THE ♪ONE WHO HAD COME THERE BEFORE. 19:33 AND THAT'S SOME OF ZOLA'S MUSIC, LOVELY, LOVELY MUSIC ABOUT ISRAEL. 19:44 THOUSANDS OF YEARS OF PROPHECY COME TO TRUTH. 19:48 ISAIAH'S NAME MEANS "GOD SAVES" AND HERE ISAIAH PROPHESIED THE DESTRUCTION OF JERUSALEM. 19:57 YOU KNOW, JEFF, ISAIAH IS A WONDERFUL TEACHING. 19:59 I REALLY AM ENJOYING WHAT YOU'RE DOING. 20:01 YEAH, HE'S VERY FAMOUS, OFTEN EMPLOYED IN THE NEW TESTAMENT. 20:21 AND WE KNOW IT AS YESHUA. 20:31 AND STUCK THEM ALL IN THE GARBAGE DUMP. 20:33 I BELIEVE THEY CALL THAT REPLACEMENT THEOLOGY. 20:35 I DON'T THINK THAT'S ISAIAH'S UNDERSTANDING, WHAT DO YOU THINK? 20:37 I DON'T THINK SO EITHER. 20:43 NOT UNTIL TOMORROW, NOT UNTIL YESTERDAY, EVERLASTING. 20:47 GOD HAS AN EVERLASTING COVENANT WITH NOT ONLY THE JEWS, BUT WITH EVERYONE. 20:57 BUT APPARENTLY THAT SITUATION IS GOING TO BE RECTIFIED. 21:02 AND THE GOOD NEWS IS WE DO HAVE PERMANENT SALVATION. 21:18 AND THAT IS THE BEAUTY OF BEING A BELIEVER. 21:21 ANYWAY, WE'RE GOING GO AND LOOK AT ISRAEL AND I HOPE YOU ENJOY THIS TRAVEL SPOT. 21:27 ISRAEL IS YOUR HOME. 21:31 FOLLOW ME TO GALILEE..
21:37 GO TELL MY BRETHREN TO GO INTO GALILEE, THERE THEY WILL SEE. 21:45 IT STRENGTHENS OUR FAITH TO KNOW THAT JESUS WALKED ON THE WATER AND THAT WE CAN CALL OUT TO HIM. 21:50 IT MAKES THE WHOLE SCRIPTURES COME TO LIFE. 22:04 THAT'S HOW WE SEE IT. 22:07 AND I KNOW YOU'RE GOING TO GO AND DO SOME MORE TEACHING IN ISRAEL. 22:10 I LOVE THE HOLY LAND. 22:11 I LOVE GOING TO ISRAEL AND I LOVE TALKING ABOUT ISRAEL. 22:15 ISAIAH HAS A FEW THINGS TO SAY ABOUT ISRAEL, AS WELL. 22:40 HOW THERE'S NO GOD BUT ALLAH AND MOHAMMED IS HIS PROPHET. 22:46 AND IT'S INTERESTING TO LIVE IN THESE TIMES AND SEE PROPHECY TRULY BEING FULFILLED. 22:57 TO KNOW THAT WHAT HE PROPHESIED WAS ABSOLUTELY CORRECT. 23:09 "SURELY GOD IS IN YOU, THERE'S NO GOD BUT YOUR GOD." 23:12 AND LOOK AT ISRAEL'S ENEMIES TODAY, SAME AS BEFORE, NOTHING EVER CHANGES. 23:19 YOU KNOW, SOLOMON SAID THERE'S NOTHING NEW UNDER THE SUN AND THERE'S NOT. 23:22 IRAQ IS COMING AT HER, IRAN, EGYPT, LIBYA, RUSSIA. 23:26 WE THINK RUSSIA IS AN ALLY, I DON'T THINK SO. 23:33 BECAUSE THE NATIONS ROUND ABOUT COME TO ACKNOWLEDGE THE GOD OF ISRAEL. 23:41 BECAUSE IT DOESN'T SEEM LIKE IT'S HAPPENING AT PRESENT. 23:43 YOU KNOW, IN ISAIAH 45 YOU'VE BEEN TEACHING ON ISAIAH 45. 23:51 GOD DOESN'T SAY THIS IS SECRET. 23:53 HE WANTS PEOPLE TO KNOW THIS IS MY WORD, THIS IS WHAT I MEAN. 24:21 BUT WILL COME TO KNOW THE GOD OF ISRAEL. 24:36 WOULD BE MOBILIZES AGAINST HER THAN BE RECONCILED TO HER. 24:39 AND WE'VE SEEN COUNTRIES COME AND GO AGAINST ISRAEL. 24:44 ISRAEL HAS STILL REMAINED. 25:01 THE SAVING OF THE NATION? 25:02 WHAT ARE WE LOOKING AT HERE? 25:04 I THINK IT'S ALL OF THAT. 25:08 WHEN WE TALK ABOUT BEING SAVED, WE TALK ABOUT SOULS BEING SAVED. 25:20 I BELIEVE BODIES CAN BE HEALED, I BELIEVE CIRCUMSTANCES CAN BE CHANGED. 25:28 AND IT SEEMS THERE ARE CONNOTATIONS FOR ISRAEL ITSELF. 25:31 BUT, YOU KNOW, IN THE VERY END, IT SAYS IT'S A NEW HEAVEN, A NEW EARTH AND A NEW JERUSALEM. 25:37 IT DOESN'T SAY ANY OTHER LAND, BUT ISRAEL. 25:41 SO GOD DOES SAVE US. 25:42 HOW MARVELOUS ARE HIS WAYS. 25:48 HE CARRIES US ON TO THE FUTURE, IS FANTASTIC NEWS, IS IT NOT? 25:52 IT'S THE BEST NEWS. 25:59 AND THEN I STOP AND I THINK, GOD REALLY IS IN CONTROL. 26:02 HE IS IN CONTROL. 26:04 YES, AND THAT'S SO IMPORTANT TO KNOW, TOO, THAT HISTORY IS NOT SPIRALING OUT OF CONTROL. 26:09 GOD DECLARED FROM THE BEGINNING THROUGH TO THE END HOW HISTORY WOULD UNFOLD. 26:18 YOU'LL REMEMBER WHAT SCRIPTURE SAYS, TO PRAY FOR THE PEACE OF JERUSALEM. 26:29 AND BELIEVE HIS WORD AND PRAY ACCORDING TO HIS WILL.